Yesterday's beaver adventures was a lot of fun and i am glad i got off my arse to go. The above image is one of my favourites. 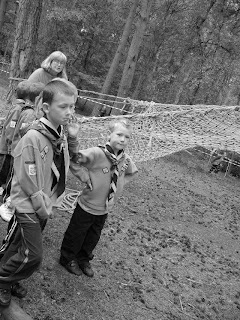 It is my nephew along with the other kids waiting to go on the assault course, i love having a digital camera. It was the Centenary Camp for Widnes and the North West, to kick off the celebrations for 100 years of scouting. Keep on reading for more photos and fun! 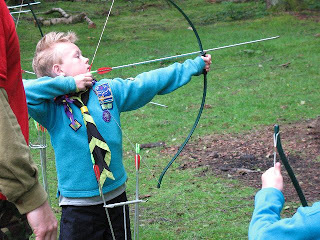 The Cubs and Scouts were camping over for the whole weekend, with the Beavers allowed to join in the fun on the Saturday. They first tackled Archery, which was a long wait but i think the kids enjoyed it. There is always one kid doesn't want to wait and another kid that doesn't know whether they are left or right handed. Which is important because one doesn't want an arrow hurtling in the wrong direction. Here's Ewan showing how it is done. I didn't have a go because i am not sure whether i am left or right handed ( otherwise known as i would be crap), Jemma (older sister is good at that sort of stuff). 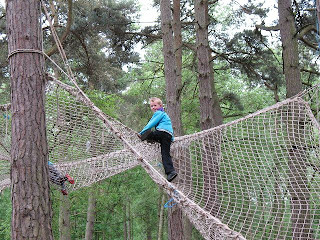 Then we headed over to the assault course which was funny to watch as it is really built for the bigger kids, so it was a bit of struggle for some of the kids to climb up and over. We only i had one kid crying, so i class that as a result! Feeding time for the kids and me! i was starving. 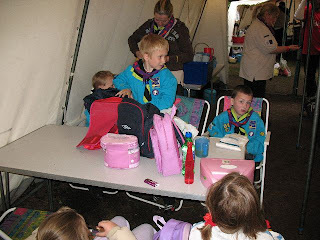 We got to eat our packed lunches in the main camp for cubs and scouts. That's some of the beavers, my sister and beaver leader Linda in the background. For some reason Linda doesn't like her official title of Grey Beaver, i don't know why? As this camp is more geared towards the older kids in Cubs and Scouts, there wasn't much left for the kids to do. Thank God for bouncy castles! 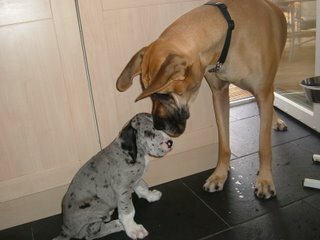 No i didn't have a bounce, i have learnt my lesson and there where too many children that could of been hurt! Just before the talent show we had a small ceremony, to remember Hilary a cub leader that sadly lost her battle to cancer this year. 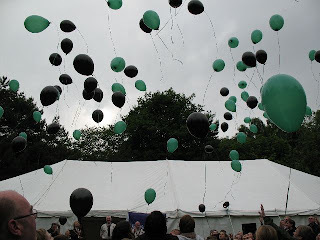 In memory of her we released 100 balloons in our colours. I didn't know Hilary myself but my sister did, so it was a very sad moment, as we watched the balloons drift off higher and higher. The day ended on a fun note with a talent show! Now i normally cringe at this thought of thing, but i have nothing but admiration for the kids that get up and have a go. The first Kid was going to dance for us, but nerves got the better of him. Then we watched a puppet show, magic tricks, circus tricks, human dog show (very strange), human ventriloquism (even stranger). An unbelievably talented violin player and a lad singing. Yes 100 years of scouting comes to this! I jokingly posted this in previous post but the truth is much funnier! Some leaders have a yearning to get up in front everyone and make a plonker out of themselves. Hope you enjoyed my Beaver Adventure! That video was so funny although I agree a bit disturbing as these are the people who could be looking after your children!!!!!!!!!! 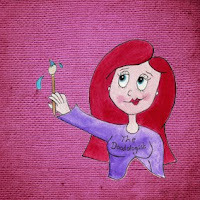 I also have a Blog-Op for you, How do you do the BlogRoll for Wordless Wednesday as it's usually about six feet long! I am still disturbed by it now! I wonder who decided belly dancing men would be appropriate for the kids? Also more scary was when the belly dance teacher (yes one of those was a woman) did a demonstration on her own, it was truly cringe worthy! Hah! Great post. Your nephews are too adorable. Looks like lots of fun...all but the belly dancing. It sure looks as if everyone had fun! Including the gentlemen dancing along. They certainly had the right equipment for belly dancing!